Coastal living at it's best! As you approach the home you will notice the huge corner lot with a beautiful front yard and water view from the yard. The porch is welcoming, is covered and has enough size for you to put chairs and plants on it. 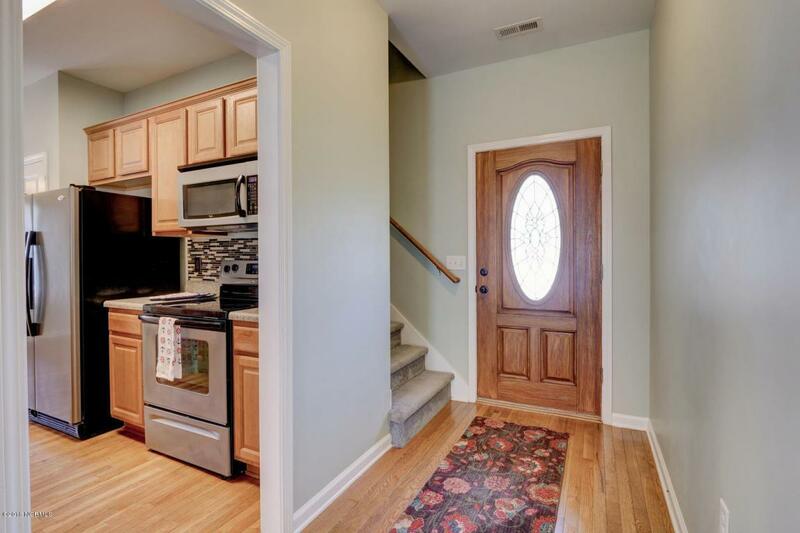 As you enter the front door you will notice hardwood flooring and an expansive vaulted ceiling with natural sunlight. The living room has a nice comfortable size and has a cozy fireplace. The galley style kitchen is just behind the living room and has a peek a boo window that makes it super easy for keeping your eye on your kid's while you are preparing meals. Next to the kitchen is an eat in area that is big enough for a large table and is surrounded by windows that overlook the back yard. Call today for a private tour! !Just behind the kitchen is the laundry room and storage room that passes through to the garage and serves as a great mud room. Down the hallway from the living room you will find the 1st of the 3 bedrooms on this floor which is a nice size for a kids room or guest room. Down the hallway at the corner of the home is another kids room/guest room. At the end of the hallway is a full bathroom with a tub/shower combo. Next you will find the master suite oasis with a tray ceiling, huge winddows that overlook the backyard and a large walk in closet. The master suite also includes a large bathroom with dual sinks, a soaking tub and a walk in shower. Up the stairs from the entry of the home you will find a bonus room located over the garage that can be used as a bonus room or a bedroom. Also upstairs is a large unfinished storage area that is amazingly easy to access. Off of the living room are sliding doors that lead to a screened in porch to enjoy our amazing coastal evenings on, bug free!! Your family will fall in love with the backyard that is super large. You'll easily envision family gatherings, cook outs and eveings watching the kid's play. This home is a must see! 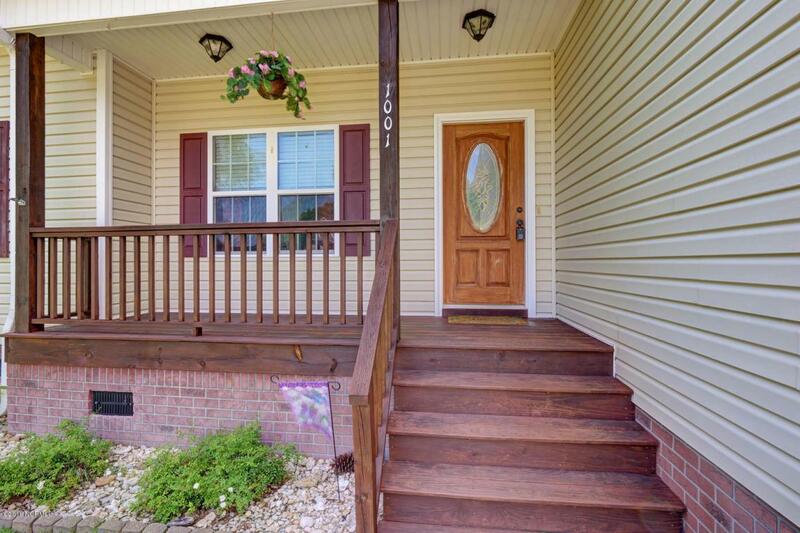 Call today for easy showings! In addition to all of this the home is located just a short walk away from the intercoastal waterway, so close that you can nearly see it from the front yard. The neighborhood also has a large clubhouse, community pool and equestrian area. 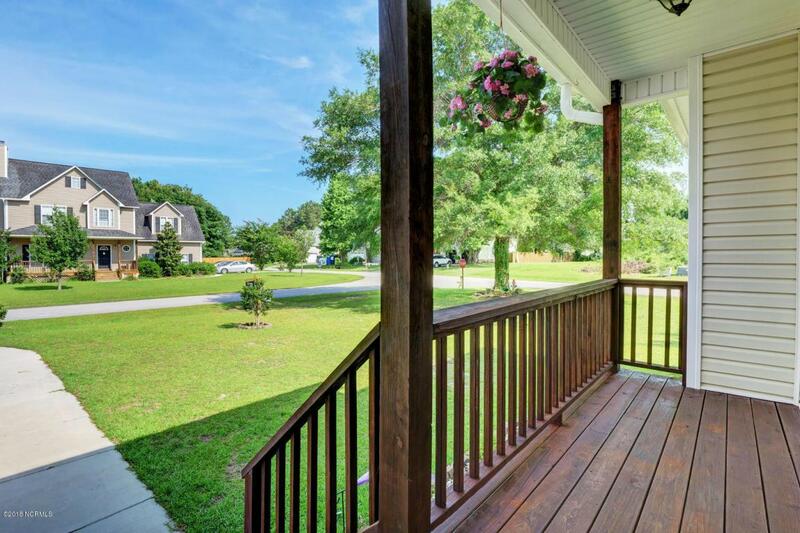 Located just 3 miles to the back gate of Camp Lejeune, 5 miles from Stone Bay and 6 miles to the beach, this home will not last long! Call today for you private showing!! 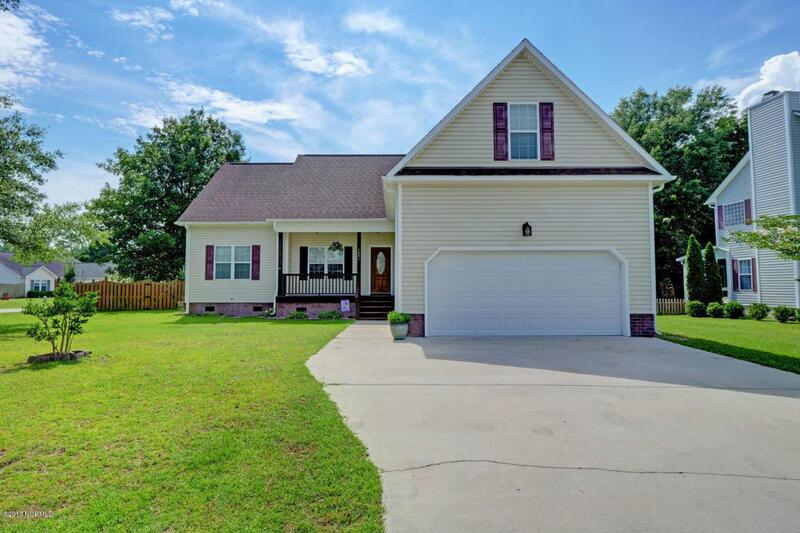 Listing provided courtesy of Wesley D Hart of Century 21 Sweyer & Associates.